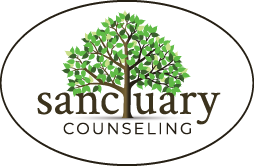 Month: February 2016 | Sanctuary Counseling, LLC. Do You Need More Fun in Your Life? Why do some of us put off the most creative, fantastic, mood-enhancing thing in our lives? 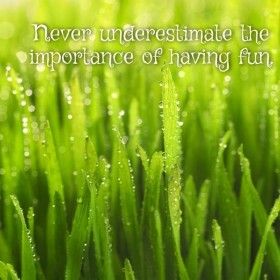 If you are reading this and feel connected at all to the message of bringing more fun into your life, you must start right away and don’t delay! Each day at Sanctuary’s Collegeville office we set aside a few minutes for a short dance party. It’s one song and takes no more than five minutes of the day. Dana, Tim, Sara and I randomly “bust a move” in the office! Just last week we danced to songs from the Pulp Fiction soundtrack and it was hilarious! We don’t take it very seriously (that’s kind of the point) we just have fun and move our bodies in ways that feel good. Plus it helps to counterbalance all of the sedentary and computer laden work we do. If you need a starting point to introduce more fun in your everyday life, experts recommend thinking about things that truly make you smile. Step 1: Make a list of people, places and activities that bring a “spontaneous smile” to your face.This is a smile that bubbles up almost irrepressibly, like a beach ball popping out of water.You don’t feel that you’re smiling so much as being smiled. I’ve seen this happen to people—and felt it happen to me—while contemplating very small pleasures, say, flying a kite, or very large ones, such as taking an exotic vacation. I’ve learned to trust this response as a powerful clue from the true self, a signal that one’s innate sense of fun has been awakened and is pointing the way to a more joyful life. Step 2: Revisit your childhood. Childhood is a time when we feel free to engage in fun and silliness. Try listing some things you remember that made you “lose time,” where hours disappeared in seconds. Think about how you liked to play as a child. Alone or with others? Inside or outside? Calmly or roughly? Almost certainly those preferences still exist in you. Choosing careers, avocations, and personal activities that fit this code will make you happier and more purposeful across the board. Lastly, make fun a priority in your life. One of the most important habits I have formed this New Year is the habit of meditation. The key to getting into this tranquil habit is to simply do it. So, I’m going to give you a list of how to simply promise yourself some moments of letting go of the stresses of your day and welcoming the peace of what’s to come (To make this more specifically easy, download the FREE <yay!> app called “Stop, Breathe & Think” from the iTunes store). Commit to just 10 minutes when you wake up or before you go to bed. Find a spot where you feel comfortable and sit down. Don’t let yourself feel defeated because you’re new or you don’t know how. It’s not really a science. It’s you, with yourself, just being. Take a moment, and just relax. Then, when you feel ready, open up the app and get started. Step 2: Choose 5 emotions that best describe what you are feeling. Don’t feel the need to focus on one area. You are allowed to be thankful and sad. Be honest. Honor your mind, body and feelings. Step 3: Choose one of the suggested meditations. Step 4: Follow the directions of the meditation. Step 5: Allow yourself to give in to the intimate time you just spent with yourself. Hold on to the feeling of freedom and if your mind starts to worry or wander (don’t worry – it’s normal) just try to breathe, bring yourself back and focus on the now. It’s 5-10 minutes of focus on feeling better, not pretending you don’t have reasons not to. Step 6: Decide to do it again tomorrow! Commit to doing it every day, not just for 3 days. Understand that you can meditate any time anywhere. If there is a seat, you have some headphones and a few moments of free time, you can meditate. Lastly, be grateful. Smile when you are finished because you just succeeded in committing to a few minutes of self-care. Something we are usually all lacking.